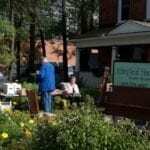 Abbeyfield Ottawa provides family-style accommodation for up to 10 independent seniors. 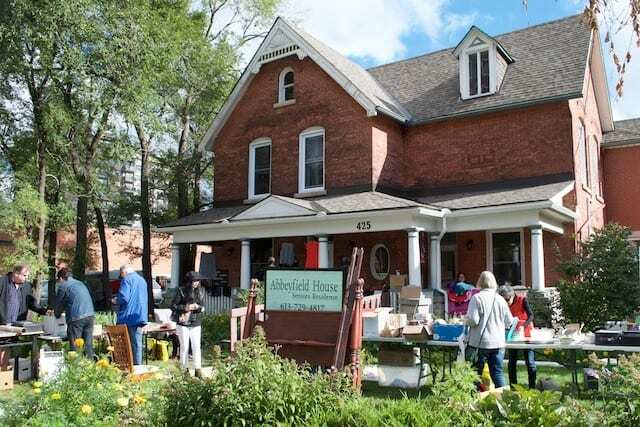 Life in Abbeyfield Ottawa preserves privacy and independence, yet its supportive atmosphere provides companionship and freedom from worries and chores. 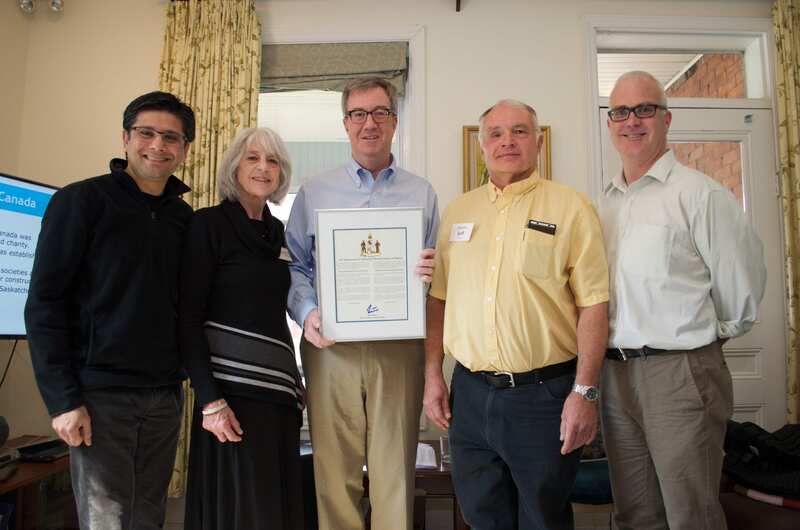 Primarily intended as a permanent home for seniors, Abbeyfield has reviewed how it can best serve the continuum of continuing care in Ottawa. 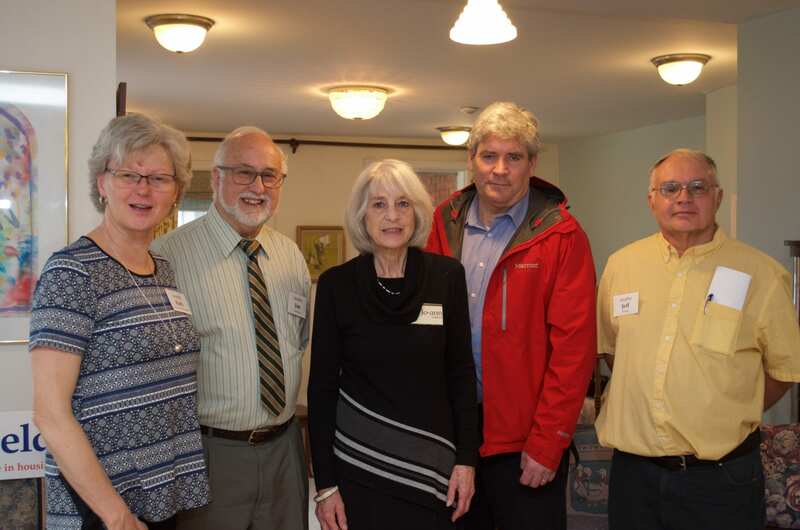 While Abbeyfield Ottawa has no medical staff, support from the Community Care Access Centre (CCAC), both personal and homemaking, may allow frail seniors to stay here, depending on their condition. 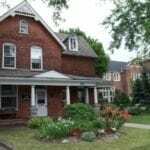 The staff at Abbeyfield Ottawa provide nutritious meals, security, and stability, and maintain a comfortable and harmonious atmosphere. The House is wheelchair and walker accessible, with an elevator/lift, hand rails in the hallways, and grab rails in each private bathroom. All suites at Abbeyfield are bright, self-furnished bed-sitting rooms with a private bath. 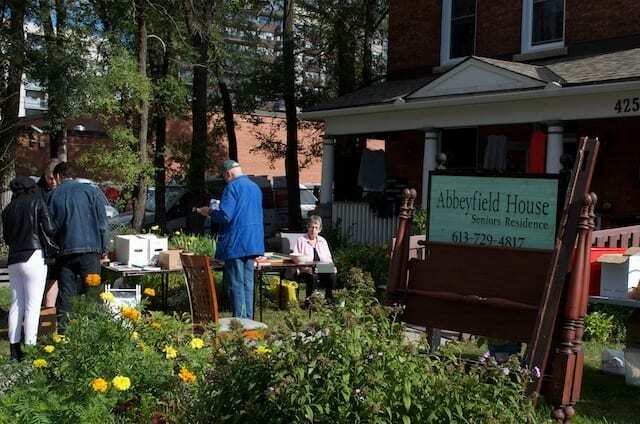 Residents bring their own furnishings to create unique private spaces within Abbeyfield Ottawa. The monthly rate for a suite at Abbeyfield Ottawa is affordable and includes parking and the use of laundry facilities. 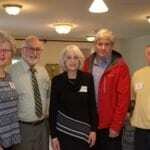 Residents are responsible for telephone, Internet and cable services. 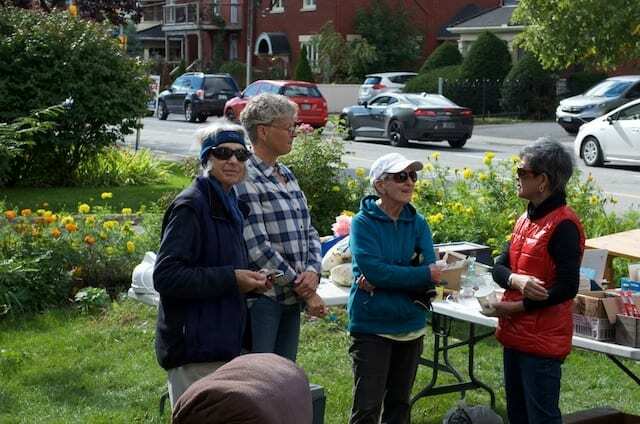 Abbeyfield Ottawa currently charges $2,100 monthly which is significantly lower than the price of for-profit retirement establishments in the area. Our aim is that low income should not be a barrier to living in an Abbeyfield House. Come and see what Abbeyfield Ottawa is all about! Members of the community are invited to Abbeyfield Ottawa to tour the facilities. Our cook bakes us treats to have with tea, and we take groups of visitors around the house. You’ll have an opportunity to talk to volunteers and ask questions. It happens on the fourth Wednesday of every month from 2pm to 4pm at the house. Please feel free to contact us at [email protected] or call 613-729-4817 to RSVP or get more information. 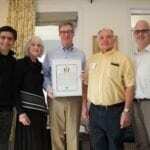 Abbeyfield Houses Society of Ottawa appreciates the support of our many strategic partners. 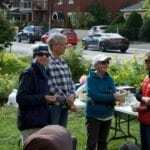 Abbeyfield Ottawa gratefully receives tax-deductible donations. To donate, please visit our page on Canada Helps. Why would I want to live in an Abbeyfield House? If you are over the age of 60, reasonably healthy and are uncertain about the appropriateness of your current housing, you may consider applying. Yes, Abbeyfield Ottawa is prepared to accommodate a couple if the couple is prepared to share one of our standard rooms. An additional charge will apply per couple, per month. Abbeyfield Ottawa charges are significantly lower than those of for-profit retirement establishments in the area. Our aim is that low income should not be a barrier to living in an Abbeyfield House. Each Abbeyfield House makes its own decision about smoking. 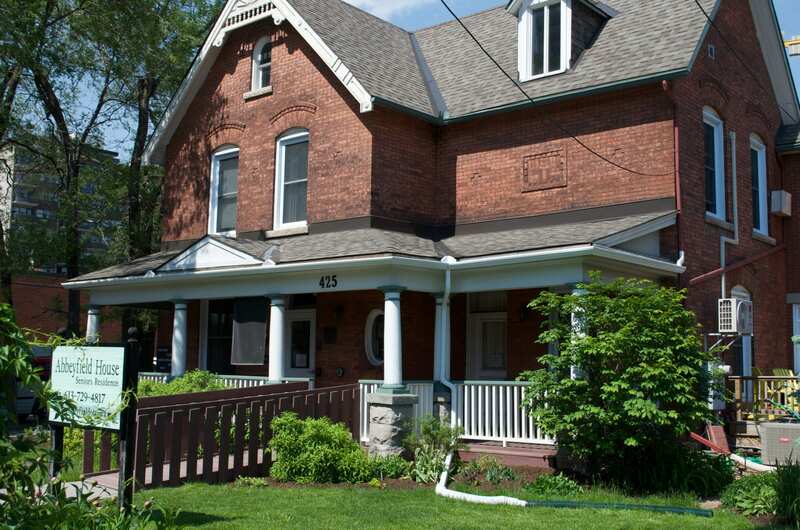 The Abbeyfield House in Ottawa is smoke-free. You will need to furnish your own room. 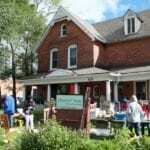 If you require furniture Abbeyfield Ottawa may be able to help you acquire suitable furnishings. At Abbeyfield Ottawa each suite has its own private bathroom. Can Abbeyfield cope with special diets? Yes. You can communicate with the Cook/House Coordinator to ensure your dietary needs are met. If you enjoy cooking or gardening (or any other activities or hobbies), you have the opportunity to engage in them. Let the House Co-ordinator know what you would like to do. What if I should require nursing care? Yes. Abbeyfield Ottawa sometimes has a guest room available that will allow you to try out the lifestyle before you move in. Abbeyfield encourages applicants to keep their former housing arrangements until they feel settled. Can my friends and family have lunch or stay the night? 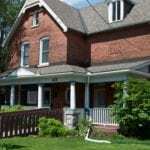 Can I have a full list of the addresses of all the Abbeyfield Houses in Canada? Yes. Please see www.abbeyfield.ca for additional addresses and information about Abbeyfield Canada. Do you have an official patron or organizational mentor? Yes. HRH Charles, Prince of Wales is our royal patron.